The musical snowman fills the air with sweet songs of Christmas joy. 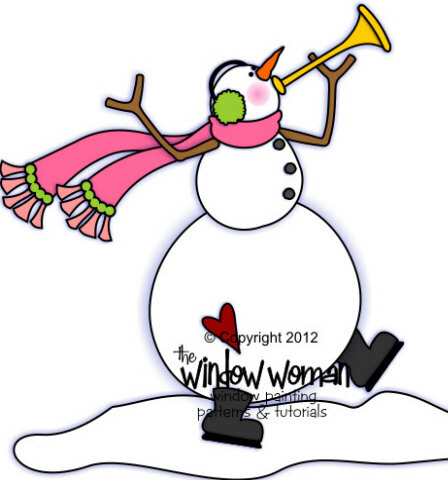 Another very easy to paint craft pattern for window painting. The little Angel can be painted with any choice of colors on her dress and bow.